Welcome to my blog! 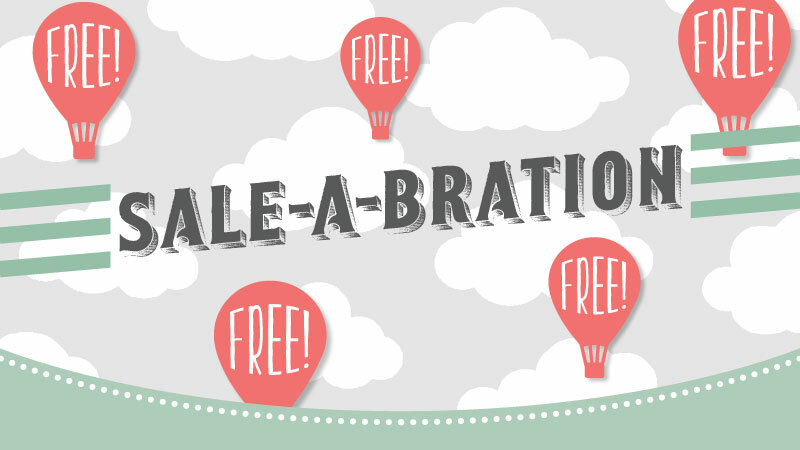 I'm so excited to share Sale-a-bration 2017 with you, which launched TODAY! During Sale-a-bration, which runs 4th January to 31st March, you can earn additional Stampin' Up! goodies for FREE! Each time you spend £45 on Stampin' Up! products (link to my online Stampin' Up! store to the top right of my blog), you get to choose a free product from the Sale-a-bration catalogue. And it doesn't stop there! 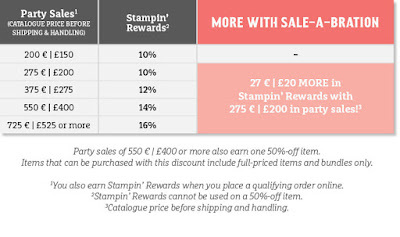 Spend £90 on Stampin' Up! products and you can choose 2 free products, and so on. If you join Stampin' Up! during Sale-a-bration, not only do you get to choose £130 worth of products for just £99, but you also get to choose TWO additional stamp sets for FREE - that's up to £223 worth of products for just £99! There has never been a better time to join Stampin' Up! If you would like to find out more about being a Stampin' Up! demonstrator, you can find out more by visiting my website or drop me a line. I'm more than happy to answer any questions you may have.